Job Title:Product Manager Location:Worthing, Sussex Salary:£35k - £40k plus great benefits The Opportunity Are you a technically-minded Product Manager? Looking for a product marketing role with a twist? This is your ideal role! As our new Product Manager you'll work within a multi-disciplinary tem to develop new industrial automation products and oversee the journey to market for our existing lines. Are you a technically-minded Product Manager? Looking for a product marketing role with a twist? This is your ideal role! As our new Product Manager you'll work within a multi-disciplinary tem to develop new industrial automation products and oversee the journey to market for our existing lines. Liaising directly with our customers, sales teams and R&D staff you'll spot gaps in the market to develop and work closely with our Engineers to define product requirements which are commercially viable. From there as Product Manager you will devise and map out the launch strategy; positioning the product correctly, identifying target customers, developing demand and providing product coaching for internal and external vendors. As a member of the internal project team you'll also take charge of developing technical support materials and verifying marketing resources. This Product Manager role is the chance to put your stamp on the products and strategy at one of the most influential companies in the world. If you're an experienced Product Manager or technical Marketing Manager we'd like to hear from you! Owing to the nature of what we do if you have a background managing engineering, software or computer science products or solutions you'll have a real advantage in this role. A keen interest in technology and industrial automation processes is necessary - we want you to love what you do! This is a really social role, you'll be working as an integral part of a multi-disciplined team and will also have a lot of contact with clients and external partners so you need to have great communication and negotiation skills. Working from our Worthing office you'll join our environmental and process control and measurement system division, a separate arm producing a specific product range different to anything else we make. We're a big company with a small company feel so you'll get to know us all pretty well, we think that's a good thing! 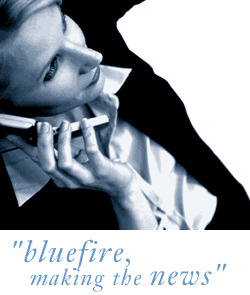 Bluefire Consulting is an equal opportunities Employment Business/Agency specialising in Marketing recruitment on a UK wide basis.